A long time ago, in 2004, when I was prepared to study at the university – I began to do art analysis. Mostly over the whole exhibition, not on single art work. I used a method I was comfortable with and perfect for my own thoughts (own constructed method). 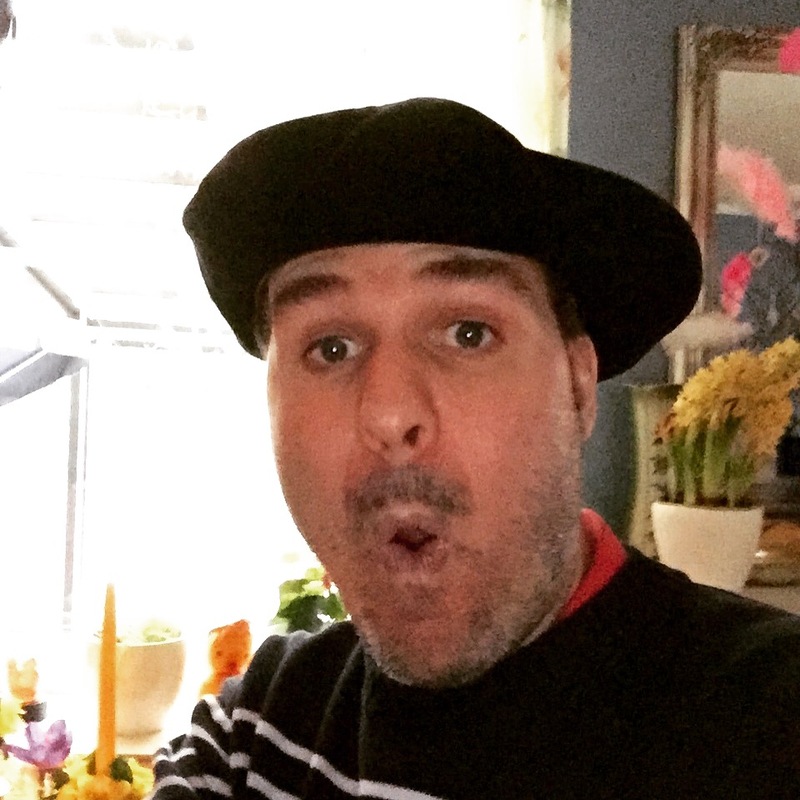 Today, many years later – efter my degree from the university and with a master thesis in art history, I know more about other art theories in the field of art analysis. My thesis is about heraldic influences on emblems belongs to sport clubs. I done a symbolic and a comparative study about it. The point is how my method is nearly the same as Erwin Panofsky’s (1892-1968) method to analyze art. Today, I’m more familiar with his theory, so I see likenesses and some minor differences. His first step or level of three in his method, is about what you see in the picture (pre-iconographic). My method when I do my analysis is the same, but with little more. According to Panofsky, it’s to analyze colours, lines, forms, objects, surfaces, directions and people etc. in the picture. I however, analyze movements and dimensions too. How objects can looks to be in a movement. The second is to look for depth through 3D. My favourite part is to look for 3D, (central perspective), as Leonardo painted it. I also analyze the texture, technics and the material etc. One other task differ from Panofsky. That is how or on what part the analyze will be made. Mostly I do the analysis on the whole exhibition, not on single art works. I put shorter time on every art work and the same to do research about the artist. The background research is a important point for the second level in Panofsky’s method (iconographic), which is more time consuming than what I have time for. But sometimes, there is enough information about the artist in the folder at the gallery, so I do a minor background check. Further in level 2 comes one of the most central point in my analyses. Find symbols and see the symbolic meaning with different elements in the picture. The same with icons. Hidden or non understanding icons and symbols, are what I love to find. Both my thesis for bachelor degree and the thesis for my master degree in art history, are studies on symbols and icons (but in different artistic areas). So in my last part of my analysis, I’m already in the Panofsky’s third level (iconological). That is what I think and what I see as the painting’s message and to get my perceived feelings and my thoughts so I can give a final assessment of what I just viewed. My main focus is in what I see and what the painting want to say or tell me, and what I hear. Everything are to perceive it personally. Not even a artist know what am I perceiving and to feel in that moment when I look at the painting – also if he or she has a meaning to create an indignation at the viewer. The conclusion is how I analyze art and how it is similar or not with Erwin Panofsky’s method. He of course, has many more parts in the analyze and I have no expectations, just hopes and discoveries when I visit an exhibition. So my point is how similar our methods are, even before I had knowledge about his method. There are, of course other art historians and methods to explore. Svetlana Alpers and Heinrich Wölfflin for example. My point is to compare my method to analyze art in comparison with Panofsky’s method. Today I visited another art gallery and the closest I could come a fish this time, was candy in a bowl on the table – liquorice fish 🙂 The exhibition at Galleri Fiskhuset is by Mary Ahl Ljungström. Mostly oil paintings by knife. There are some acryl and pastel too. I could find different quality of technique and colour. Not in the same class as saturday’s opening. There were both linear and scenic motifs. Many compositions with typical 3D perspective with central point in the middle. It was only two paintings I liked, because they are painted in oil by brush. The art work “11. Skugga” for example (oil by brush) has a soft texture and light colours. The tree facing the sunlight while the shadow throws to the wall. Autumn colours in the motifs from “29. Central Park” light up a singel wall in the gallery. In the painting “Solnedgång Manhattan”. The artist paints a split screen. The sunlight splits the motif – with Empire State Buildning to the right and other high buildings to the left. This give focus on single buildings. In “13. Blåsväder”, the artist paints a movement when she show how trees moves by the storm and in the background, she amplifies the movement by waves hitting the coast. The difference in techniques and style doesn’t interest my curiosity. 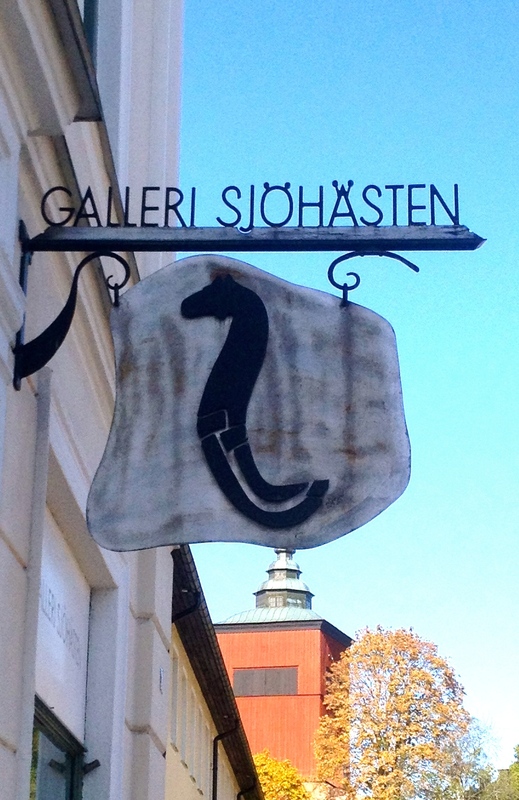 Since the last exhibition at Galleri Sjöhästen, it’s difficult to find same good art. To paint forest fire three times in three different set of color, is to much. For me, it’s ok with one. I didn’t say that is bad or not high quality art, but I like strong colors, cubism or abstract paintings and surrealistic art.